Last year, more than 168 groups from various sectors of society called for a mass protest against hate and racism. More than 2000 people took to the streets to denounce the rise of racism, hate and the far-right. 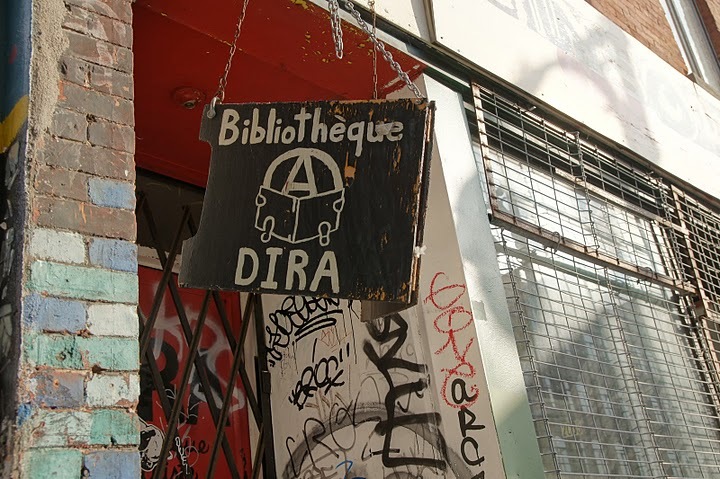 The participating groups came together to reject the increasing discourse of hate and racism within Quebec’s public space, and called for a society without borders, based on solidarity and inclusion. Less than a year later, the situation remains worrisome. Despite multiple anti-racist and anti-fascist actions attempting to block the far-right, we still see a growing trend of hate groups organising and trying to take the streets in Quebec City, Montreal or even at border crossings with the USA. These groups spread their propaganda and lies without any regard to the dignity of migrants and racialized people, or any hint of human decency. Also of concern is that their hateful rhetoric is picked up and normalised by mainstream media outlets and politicians. We believe that provincial political parties will take advantage of this toxic climate to gain votes during the Fall electoral campaign. They will continue to try to make headlines by using increasingly populist, nationalist and xenophobic discourse. This is a dangerous and slippery slope, because it normalizes the presence of racist ideas within our society and further marginalizes the already vulnerable migrant and racialized communities. Let’s stay mobilized - before and after the elections! As the electoral season gets going, we think it is essential to get organized in order to condemn these racist outbursts, and to make our collective outrage loud and clear. Whatever the outcome of the elections, we must make it clear that we refuse any message of exclusion of our friends and neighbours from minority groups, and any racist or hateful discourse must be attacked openly in the public sphere. 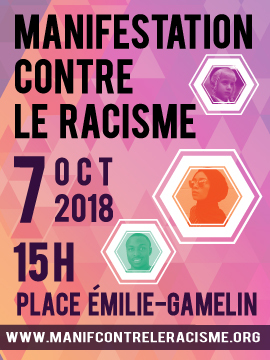 This is why we are organising a large protest against racism on Sunday, October 7th, 2018 at 3PM at Emilie-Gamelin park.